Thanks to Magali Dougados for taking my portrait before the lecture at Société de Lecture in Geneva, Switzerland. The book Homo Helveticus by Till Schaap Edition with a foreword written by Thomas Maissen in german, french and english languages. This entry was posted in Book, Media, Photography and tagged art, black & white, black and white, book, book printing, documentary, documentary photography, Europe, Geneva, hardcover, hardcover book, Helvetia, Homo Helveticus, photo book, photo essay, photo reportage, photographer, photography, photography book, Photojournalism, Schweiz, Société de Lecture, Suisse, Svizzera, Swiss Confederacy, Swiss Confederation, Switzerland, Till Schaap, Till Schaap Edition. 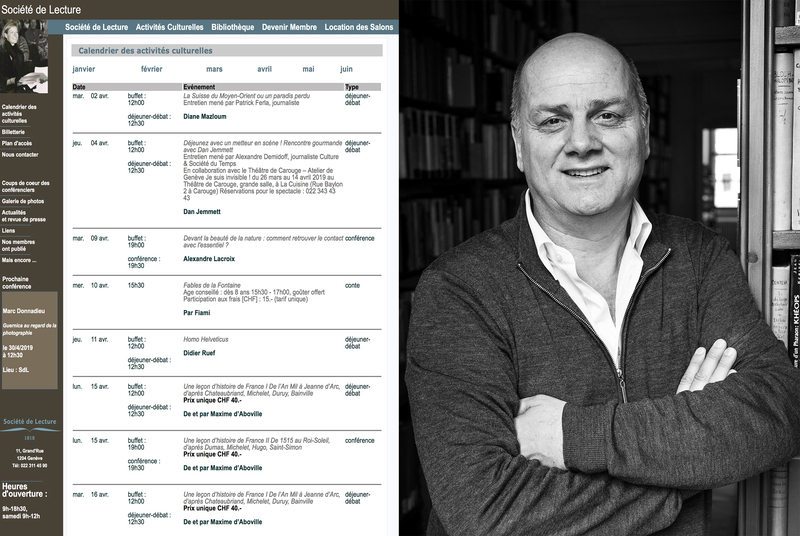 On the web site of The Guardian from April 9th, 2019, you can look at a selection of pictures from my book Homo Helveticus. 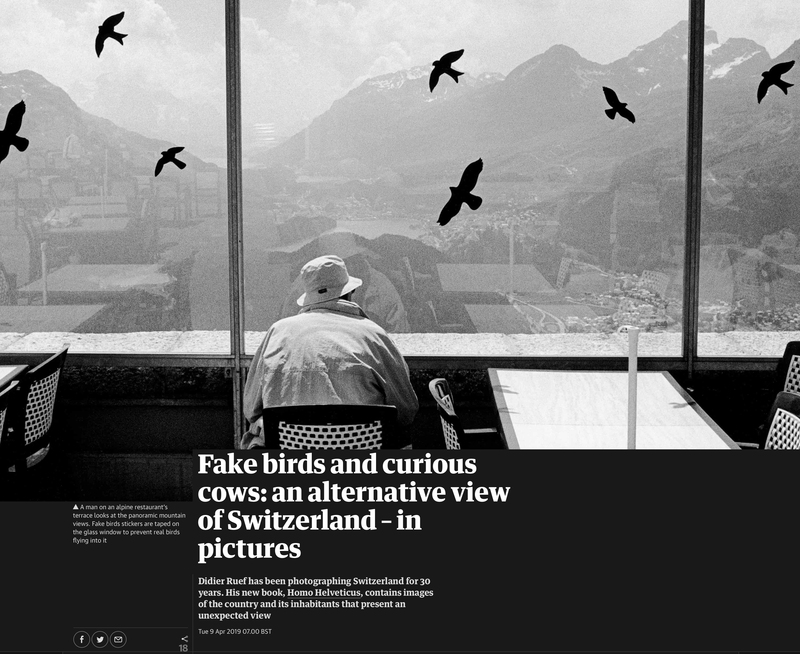 Didier Ruef has been photographing Switzerland for 30 years. 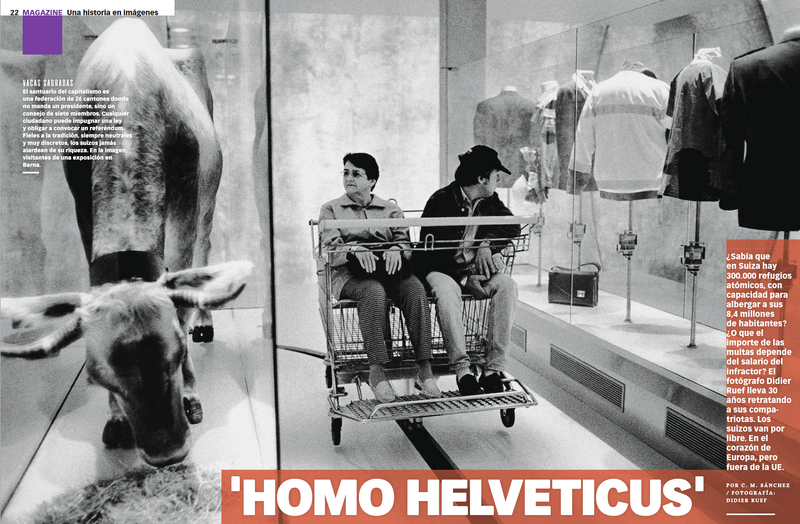 His new book, Homo Helveticus, contains images of the country and its inhabitants that present an unexpected view. This entry was posted in Book, Media, Photography and tagged alternative view, art, birds, black & white, black and white, book, book printing, cows, documentary, documentary photography, Europe, hardcover, hardcover book, Helvetia, Homo Helveticus, photo book, photo essay, photo reportage, photographer, photography, photography book, Photojournalism, Schweiz, Suisse, Svizzera, Swiss Confederacy, Swiss Confederation, Switzerland, The Guardian, Till Schaap, Till Schaap Edition. 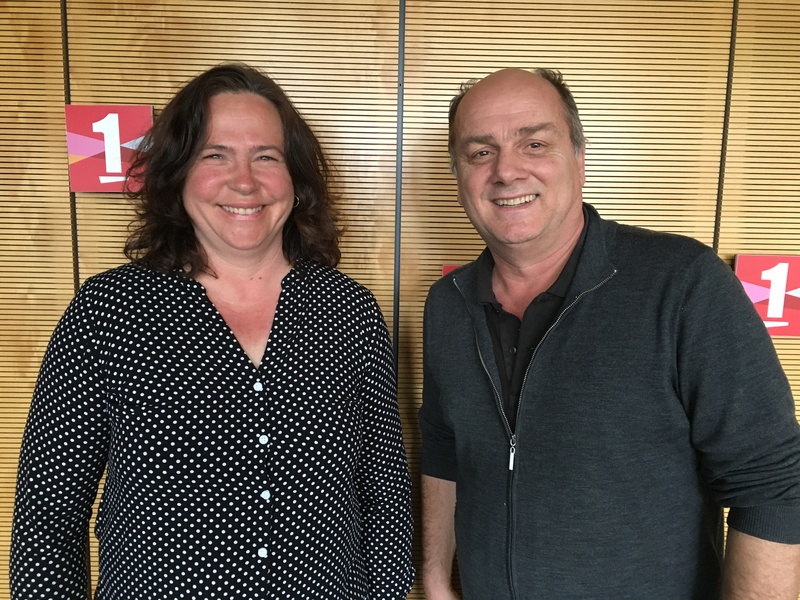 An interview by Pauline Vrolixs with Sylvie Bonvin Sansonnens and Didier Ruef on Radio RTS La1ère Premier Rendez-Vous on April 1st, 2019. This entry was posted in Book, Media and tagged art, black & white, black and white, book, book printing, documentary, documentary photography, Europe, hardcover, hardcover book, Helvetia, Homo Helveticus, interview, Pauline Vrolixs, photo book, photo essay, photo reportage, photographer, photography, photography book, Photojournalism, Premier Rendez-Vous, radio, RTS, RTS la Première, RTS La1ère, Schweiz, Suisse, Svizzera, Swiss Confederacy, Swiss Confederation, Switzerland, Sylvie Bonvin Sansonnens, Till Schaap, Till Schaap Edition. Thanks to Clément Grandjean for taking a picture during my lecture at Reporters Unplugged in Uni Dufour, Geneva, Switzerland. 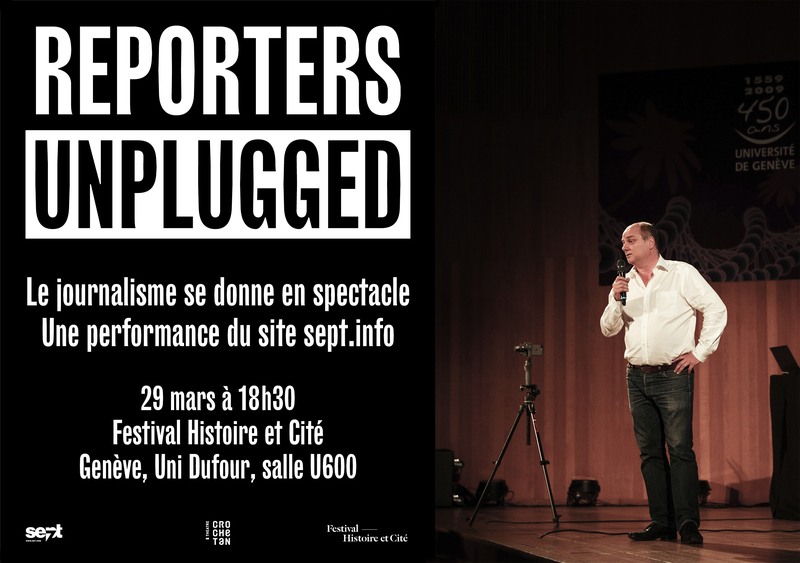 Didier Ruef during his lecture at Reporters Unplugged. Uni Dufour. Geneva, Switzerland. March 29th, 2019. 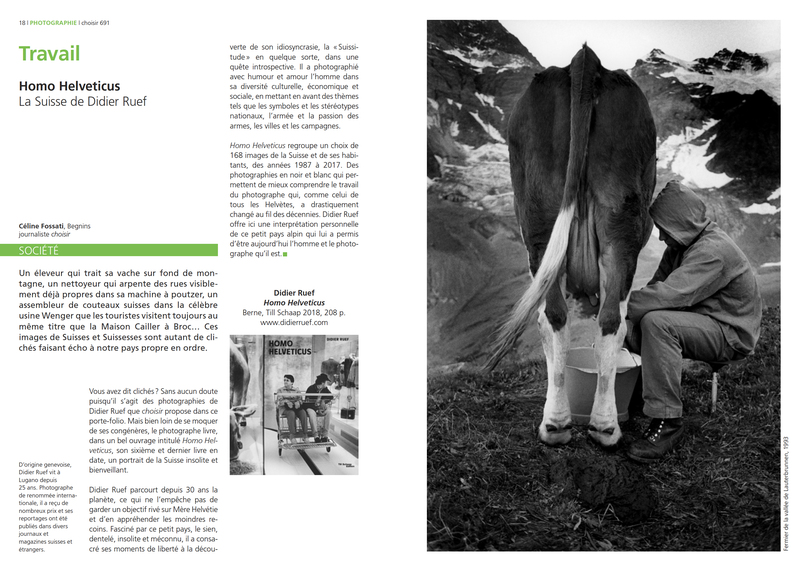 A seven minutes’s talk about water issues with eighteen pictures selected from my book Recycle. This entry was posted in Book, Photography and tagged art, book, documentary photography, ecology, environment, garbage, Geneva, landfill, lecture, nature, pollution, Recycle, recycling, refuse, Reporters Unplugged, rubbish, Sept, sustainability, Switzerland, trash, Uni Dufour, waste, waste management, water. On the latest issue (April-June 2019) of Choisir, you can look at six pages on my book Homo Helveticus. This entry was posted in Book, Media, Photography and tagged art, black & white, black and white, book, book printing, Choisir, documentary, documentary photography, Europe, hardcover, hardcover book, Helvetia, Homo Helveticus, photo book, photo essay, photo reportage, photographer, photography, photography book, Photojournalism, Schweiz, Suisse, Svizzera, Swiss Confederacy, Swiss Confederation, Switzerland, Till Schaap, Till Schaap Edition. 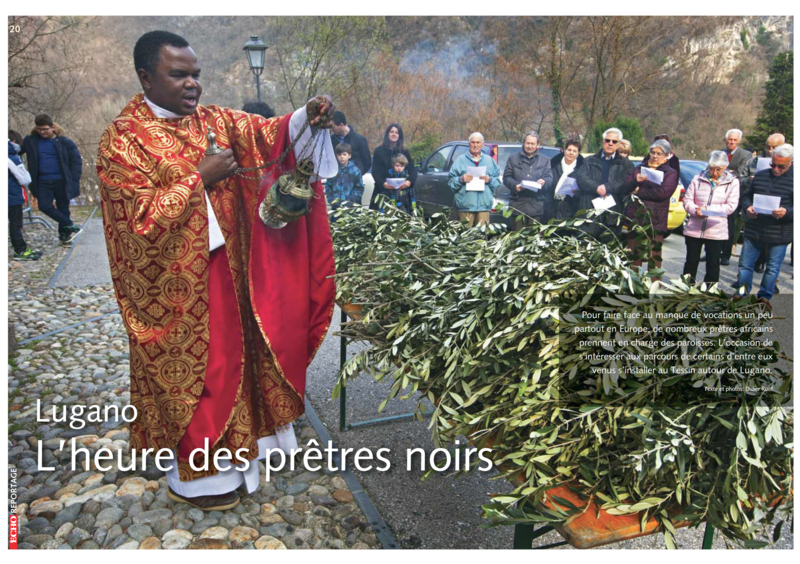 On the latest issue (March 28th, 2019) of Écho Magazine, you can look at my reportage on African priests in Ticino, Switzerland. This entry was posted in Media, Photography and tagged belief, believers, bible, black man, catholic, catholicism, ceremonial, ceremony, chasuble, christian, church, clergy, clergyman, clerk, culture, Echo Magazine, embroidered, embroidery, faith, god, gospel, holy, jesus, Jesus Christ, liturgy, parson, presbyter, priest, priesthood, religion, religious, Saint, salvation, savior, saviour, spirit, spiritual, spirituality, Switzerland, Tessin, Ticino, tradition, traditional, worship. 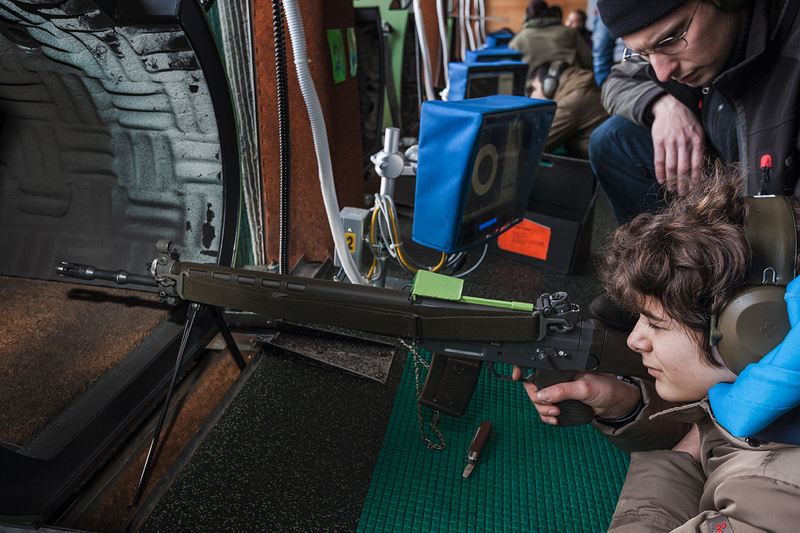 On the latest issue (April 1st, 2019) of Azione, you can look at my reportage on “Young Shooters’s Course” in Lugano, Canton Ticino, Switzerland. This entry was posted in News, Photography and tagged 15-20 years, aim, aiming, assault rifle, Azione, caucasian, concentration, Cureglia, danger, decibel, detachable magazine, ear, ear muff, ear plug, ear protectors, fass 90, firearm, firearms, freedom, gun, gunshot, hazardous, hearing protection, lawful, legal, liberty, safety, semi-automatic, SG 550, shoot, shooting, shot, SIG, Sport, Stgw 90, sub machine gun, Switzerland, teenage, teenager, teenagers, Tessin, Ticino, Tiratori del Gaggio, trigger, weapon, weaponry, youth. 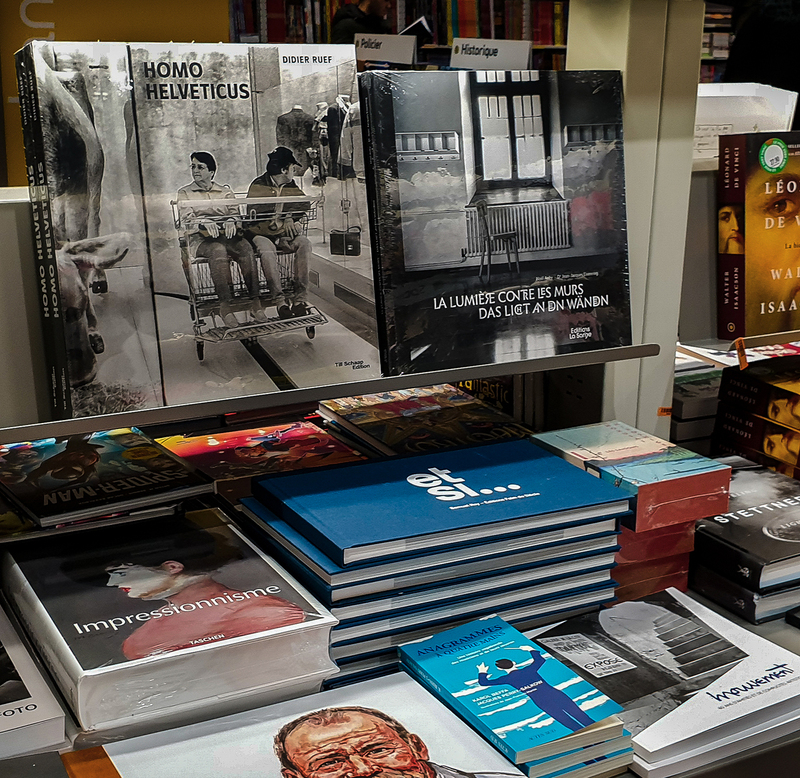 Thanks to my friend Pierre Bruchez for shooting this picture of my book Homo Helveticus on sale at Fnac bookshop in Fribourg. Don’t be shy and offer the book as gift to your friends. This entry was posted in Book, News, Photography and tagged art, black & white, black and white, book, book printing, documentary, documentary photography, Europe, Fnac, hardcover, hardcover book, Helvetia, Homo Helveticus, photo book, photo essay, photo reportage, photographer, photography, photography book, Photojournalism, Schweiz, Suisse, Svizzera, Swiss Confederacy, Swiss Confederation, Switzerland, Till Schaap, Till Schaap Edition. This entry was posted in Book, Media, Video and tagged art, black & white, black and white, book, documentary, documentary photography, Europe, hardcover, hardcover book, Helvetia, Homo Helveticus, interview, La1, Lugano, Melide, photo book, photo essay, photo reportage, photographer, photography, photography book, Photojournalism, Quotidiano, RSI, RSI La1, Schweiz, Suisse, Svizzera, Swiss Confederacy, Swiss Confederation, Swissminiatur, Switzerland, Ticino, Till Schaap Edition, Turné, TV. On the latest issue (February 24, 2019) of XL Semanal in Spain, you can look at six pages on my book Homo Helveticus. This entry was posted in Book, Media, News and tagged art, black & white, black and white, book, book printing, documentary, documentary photography, Europe, hardcover, hardcover book, Helvetia, Homo Helveticus, photo book, photo essay, photo reportage, photographer, photography, photography book, Photojournalism, Schweiz, Spain, Suisse, Svizzera, Swiss Confederacy, Swiss Confederation, Switzerland, Till Schaap, Till Schaap Edition, Xl Semanal.